FAR’s Breaking the Cycle of Poverty Program (BCPP) is about to close another successful year. 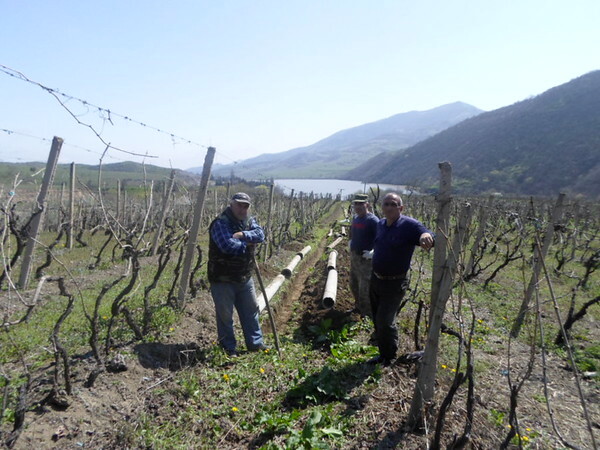 Throughout 2015, the project team continued to improve rural infrastructure in Tavush’s border region of Berd. Most recently, FAR collaborated with the Global Environmental Facility’s Small Grants Program, UNDP and the Berd Women’s Resource Center, on the renovation and expansion of the local irrigation system, which now covers 70 hectares of land and enables farmers of Berd region to regularly water their crops with ease. Mayor Artur Hovhannisyan says he will try to lease larger plots of land to local farmers. “We don’t have many people like Aghvan. Meanwhile we have so much land and to just leave it empty and uncultivated is a shame. I hope he will became an example for other villagers,” he said. Since access to clean drinking water is absolute necessity for community development and sustainability, FAR also started supporting local efforts to improve access for as many households as possible. Currently, there are ongoing projects in Chinari, Tavush and Choratan villages designed to improve access, which are being carried out by local committees and co-financed by FAR and other local partners. BCPP also supports the improvement of local transportation infrastructure. This year, FAR also partnered with the local NGO Strategic Development Agency to renovate a 3.5 km road, which now gives the remote village of Itsaqar better access to pastures for their livestock.